Capt. Bill Donahue dropped out of college to join the U.S. Army Air Corps after Pearl Harbor. He was assigned to the China, Burma, India theater of operations; flying "the Hump" in P-40s and C-87s. 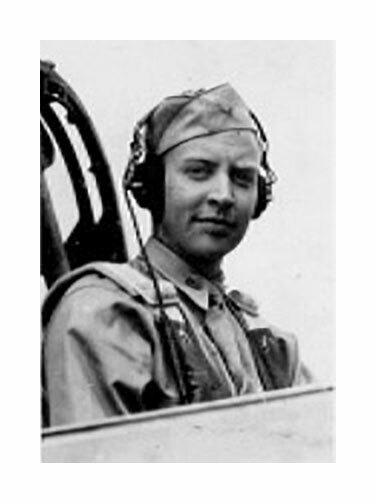 He was awarded the Distinguished Flying Cross, Air Medal with one Oak Leaf Cluster, American Defense Service Medal, American Campaign Medal, Asiatic Pacific Campaign Medal with three Battle Stars, European-African-Middle-Eastern Campaign Medal and the World War II Victory Medal. 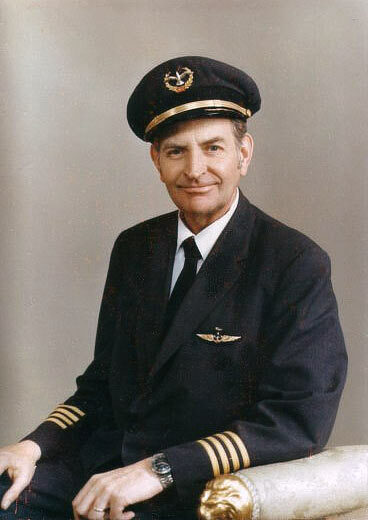 Bill was one of the earliest Seaboard pilots, hired in 1947. He flew until his untimely death due to a ramp accident in Frankfurt. He was 58 years old. Bill is survived by his wife, Priscilla; sons Bill Jr. and Sean (a pilot for Continental); and daughters, Estelle McCarthy, Priscilla Carty, and Kathleen Sotell.